Product Type: ed00489c. The length and size suit for most people. The chain is strong enough to wear. The chain is strong enough to wear. Double Ring Dangling Earrings in Sliver Tone, Delicate and Fashion. Color:Sliver. 1 Pair X Earrings. And due to the difference between different monitors, the picture may not reflect the actual color of the item. Product Type: ed01787c. Color Options: Green Purple color. All the product are lead, nickle, cadminum free. All the product are lead, nickle, cadminum free. The chain is strong enough to wear. Color Options: Rose Gold color. All the product are lead, nickle, cadminum free. Product Type: ed01891d. Material: Brass. The chain is strong enough to wear. Product Type: ed01757c. Material: Acrylic Pearl, Zinc Alloy. All the product are lead, nickle, cadminum free. The chain is strong enough to wear. Product Type: ed00763c. Material: Acrylic Pearl, Brass. The chain is strong enough to wear. Product Type: ed00332c. All the product are lead, nickle, cadminum free. The chain is strong enough to wear. Color Options: As show as picture. Material: Crystal, Brass, Zinc Alloy. The chain is strong enough to wear. Color Options: Gold color. Quantity : 1 Pair Earring Set. PRODUCT TITLE : BEAUTIFUL CHARMING LOOK MATCHING EARRINGS. Fashion Jewelry. We are committed to resolve all issues in a friendly and satisfactory manner. 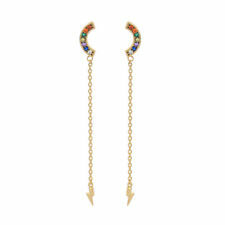 Color Options: Gold Color Earrings. All the product are lead, nickle, cadminum free. The length and size suit for most people. Product Type: ed01235c. Material: Glass Pearl, Glass, Brass. All the product are lead, nickle, cadminum free. The chain is strong enough to wear. Material: Glass Pearl,Zircon,Brass. All the product are lead, nickle, cadminum free. Product Type: ed00643c. All the product are lead, nickle, cadminum free. The chain is strong enough to wear. Quantity : 1 Pair Earring Set. Main Color : Golden. Fashion Jewelry. 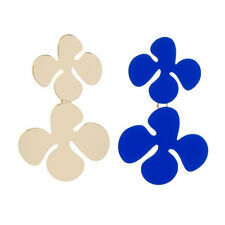 PRODUCT TITLE : BEAUTIFUL CHARMING LOOK MATCHING EARRINGS. Ratna Jewellers. This service is not Traceable for most of the countries. Product Type: ed01893d. Material: Brass. The chain is strong enough to wear. Product Type: ed01882d. Material: Brass.Acrylic Pearl. The chain is strong enough to wear. Color Options: Gold color. Quantity : 1 Pair Earring Set. Main Color : Golden. Fashion Jewelry. PRODUCT TITLE : BEAUTIFUL CHARMING LOOK MATCHING EARRINGS. We are committed to resolve all issues in a friendly and satisfactory manner. Product Type: ed01860c. Material: Acrylic, Brass. The chain is strong enough to wear. The length and size suit for most people. All the product are lead, nickle, cadminum free. Color Options: Gold Earrings. The chain is strong enough to wear.